Photograph of Roman temple ruins. Photograph of Roman building and column ruins. 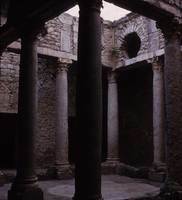 Photograph of Roman building ruins.